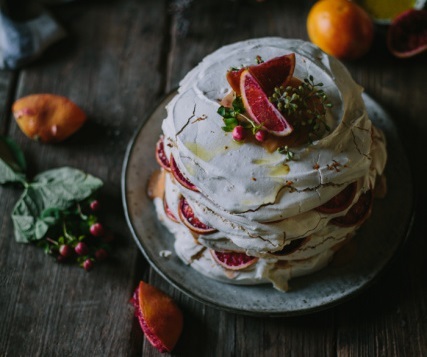 Did you know that there are more than 200 million food blogs out there? And a lot of them are pretty amazing. 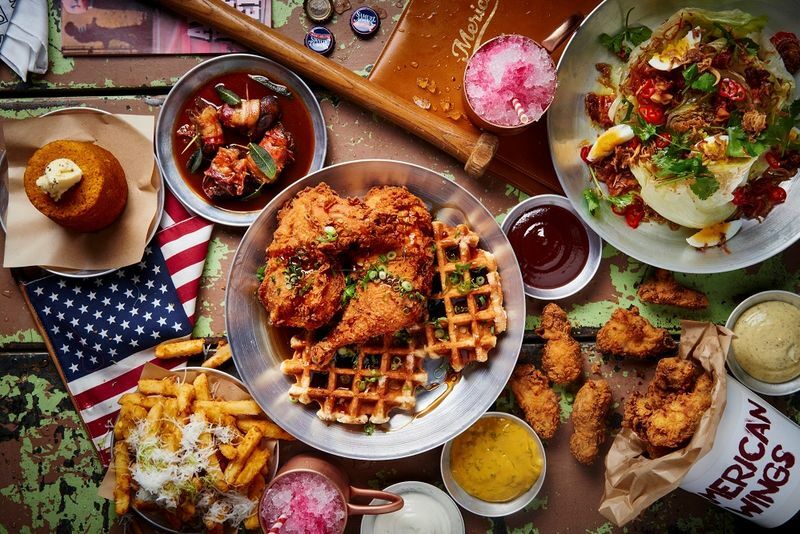 If you haven’t figured out by now, we love to scour the world wide web to find food blogs that make us drool onto our keyboards (rhetorically AND literally). Afterall, somebody has to do the ‘grunt’ work, right?. 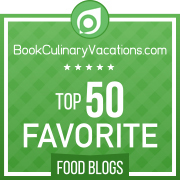 Lucky for you, we decided to put our heads together to come up with a list of our top 50 favorite food blogs! What will you find in this awesome list? A diverse list of food blogs covering an array of categories: general culinary blogs, baking blogs, blogs which focus on healthy eating (gluten-free, plant-based), and cuisines (Indian, French, Indonesian, Spanish, Caribbean, African, etc). Each blog offers something unique and fresh to the bloggers universe and the team at BookCulinaryVacations.com unanimously agreed that they are very worthy of sharing. Be sure to check them all out! Created and managed by Clotilde, a food writer based in Paris, this blog aims to get everyone excited about daily cooking. Focusing on fresh, colorful, and seasonal foods, Clotilde shows us easy, approachable recipes with a creative twist. If you need new recipes to try and you are after fresh ideas, Chocolate and Zucchini offers plenty of it! It has an extensive list of recipes, from appetizers and salads to meat dishes and desserts. As a great bonus, its ‘Tips & Tricks’ section is filled with useful information to allow food lovers improve their skills as a cook. Becky started her blog because...she got married! She was happily sampling the restaurant foods and enjoyed the ready-made microwave dinners, until she realized some cooking skills might be useful when she would get married and have kids. Since 2013, she’s been sharpening her cooking and blogging skills, cooks and shares her scrumptious journey by blogging about it. This delightful blog offers weekly meal plans, which are very useful when you are running out of ideas. 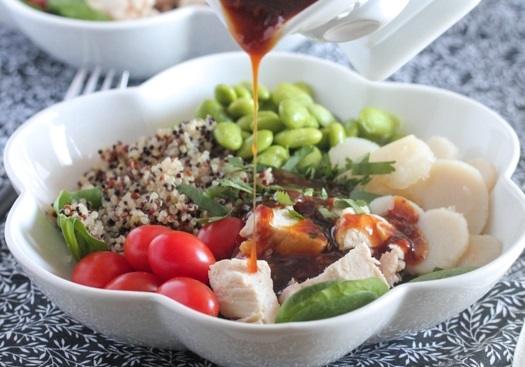 Or, if meal plans aren’t your thing, just browse the many recipes available on the blog. Maangchi, the woman behind the self-named blog, was born and raised in Korea. Passionate and insatiably curious about food since she was a child, Maangchi loves discovering food from other cultures. Though her blog is focused on authentic Korean recipes, she enjoys learning new techniques and she is always experimenting and reworking her recipes to make them her own. What we love about Maangchi is that it’s more than a blog. 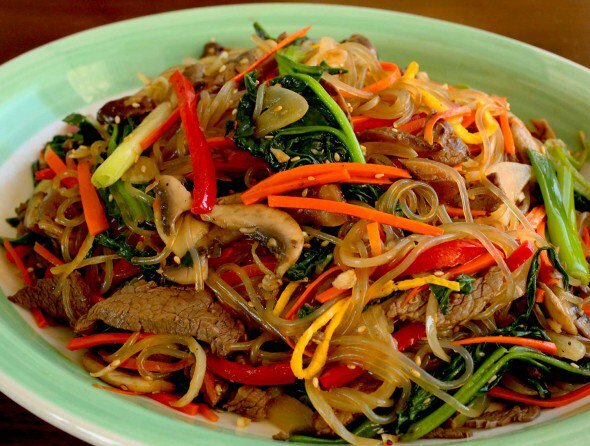 It also provides us with a very useful beginner’s guide to Korean cooking, recipes, as well as an engaged community who shares their passion for food through the blog’s forum. On this awesome vegan blog, Richa shares easy to follow yet delicious recipes that are based on her Indian roots. You may be happy to know that many of them are gluten-free and soy-free! For those interested in learning more about Indian cuisine, we found her ‘India pantry’ post very useful. The recipes offered here include Indian main dishes, daal, as well as gluten-free dishes, Ethiopian cuisine, burgers, and desserts. Eva, a professional photographer by day and food blogger by night, is based in Oregon and loves everything farm-related. Her passion for photography ensures stunning and mouth-watering images for her recipes. We also loved the travel guides section she included on this oh so sweet blog, along with the baking tips and recipes, which are searchable by season. We adore Jenné, and her blog Sweet Potato Soul. Born in Georgia and currently living in NYC, her passion for delicious and easy-to-make vegan recipes shines through the delicious content she shared to her audience. We especially enjoy the cooking videos and the many healthy eating tips. If you are looking for new vegan recipes to try, browse the many raw dishes, salads, smoothies, breakfast, and desserts. Coming from an Italian American family, Lauren, the blogger behind Spanish Sabores, has been passionate about food since she was a little girl. After college, she moved to Spain to teach English. Along the way, she discovered the Spanish cuisine and found the passion for it while learning to cook the local dishes. We loved that on her blog, aside from Spanish recipes featuring fish, salads, and desserts, she writes extensive travel articles about Spain, Europe, and other places from around the world! Born from a Syrian father and a Lebanese mother, the talented Anissa moved to London when she was 21 and since then has traveled the world doing various jobs. When she moved back to London, Anissa made the decision to change her life. As she has been interested in the food of the Levant, she has published several books about it. Annisa is now based in Sicily, Italy and her blog includes interesting recipes from Italy and the Levant country. We love that she also writes travel articles with emphasis on the Arabic culture. 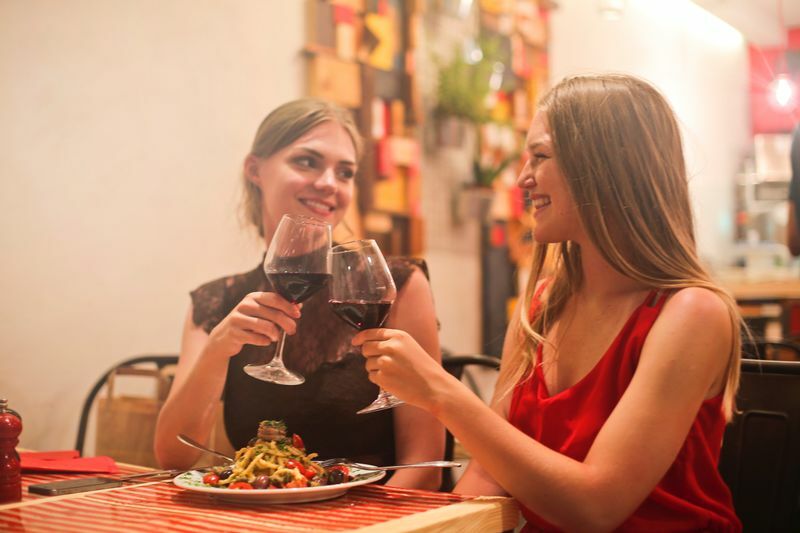 Peruvian cuisine is flavorful, colorful, and aromatic, and the three ladies behind Peru Delights make sure to highlight these qualities in every post! What we thoroughly enjoyed about this blog is that we could find basic and traditional Peruvian recipes, such as aderezo, quesadillas, soups, and desserts, as well as healthier versions of them. Did you know that, for five years in a row Peru has been named the best culinary destination in the world? Nazima and Pierre, the couple bloggers behind Franglais Kitchen, combine the health and balance in diets with the chef’s approach. We loved this approach and you’ll be delighted to know that they share dairy free, gluten free, and low calories meals. Especially useful for parents, this blog has a ‘family friendly’ recipes category where you can find various ideas which your children will love. And the ‘quick mid-week’ meals are a great resource for everyone who is busy and needs to whip up a delicious dinner in a flash. Do you still think that a foodie cannot be fit? Then, I invite you check Sally’s blog, The Fit Foodie! Here you will find all things healthy, fit, stylish, and influential. What started as a way to journal her food adventures and struggles with orthorexia, has now become a business. You will be interested to know that Sally is a proud Ambassador for Jamie Oliver’s Food Revolution. Browsing through Sally’s creations, we discovered yummy healthy recipes to get you through breakfast, lunch, dinner, and a delectable dessert. 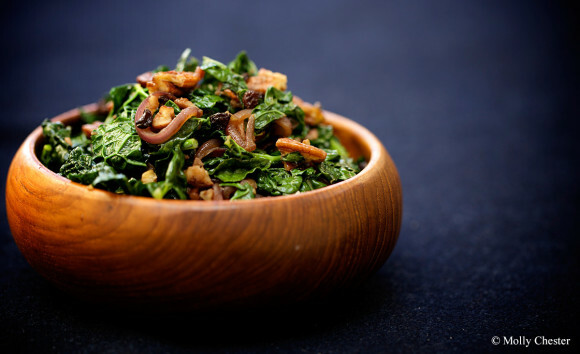 Organic Spark is based on the Traditional Foods, which are real, whole and unprocessed. What started as an outlet to share recipes with friends and family, developed into a cookbook and a family business. Molly is the blog’s author, cookbook author, and a traditional foods chef. John is the photographer, videographer, and the official taster, whereas Sandy is the recipe developer and a cookbook co-author. What sets apart this blog is the journal section includes emotional and interesting information about the family and farm life. The recipes, nicely highlighted by professional photos, offer a lot of ideas for breakfast, lunch, dinner, and dessert. Those you prefer visual instructions will love the ‘The Two Minutes Tips’ (found under video) are really useful and show you how to properly cut an onion, an apple, or a bell pepper. Vegan Lovlie is the brain-child of Teenuja & Kevin, who also run a YouTube channel. Currently based in Montreal, they draw their influences from their home country of Mauritius. Having a huge curiosity for exploring other countries, they combine the traditional cuisine with refreshing contemporary influences. We absolutely loved the reviews of restaurants, kitchen utensils, and food products, which come as a great addition to the delightful vegan recipes featured. If you’re a fan of vegan food, we urge you to check them out! 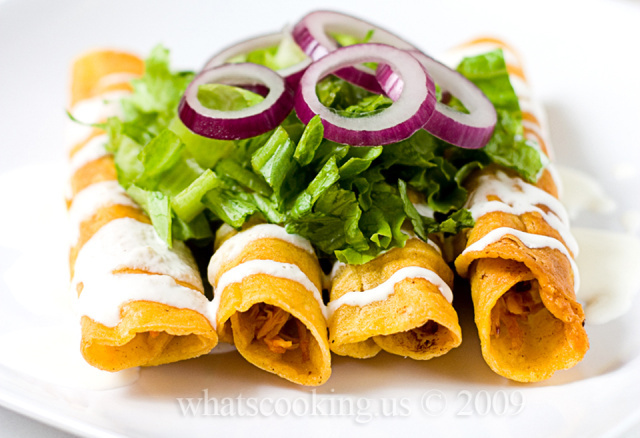 Photo credit: What’s Cooking, Mexico? Ben started this blog with the purpose of sharing what he has learned about Mexico, its food and culture. Coming from a family who has owned a restaurant in Mexico City for 40 years and having grown up surrounded by food, Ben’s passion for all things Mexican shines through the writing. But What’s Cooking, Mexico? is more than just a food blog as it also includes a useful travel section. Those who are interested in learning more about the Mexican cuisine can read about the ingredients and how to use them in recipes. And oh, those mouth-watering recipes featuring local ingredients. Try a mango salad, a cactus salad or maybe a watermelon gazpacho. 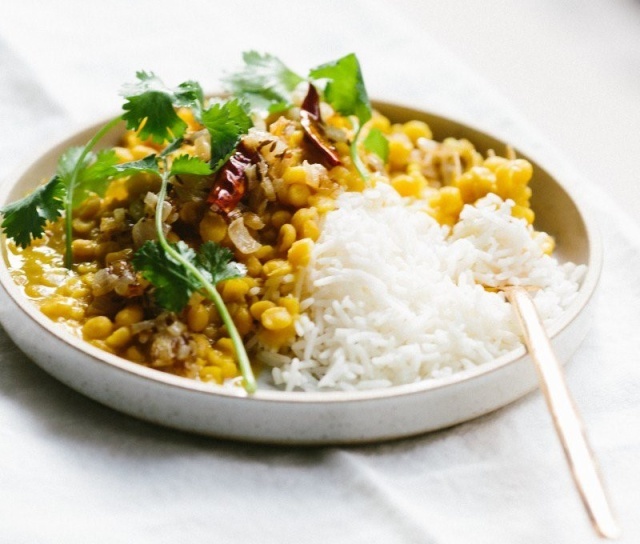 This flavorful blog is written by an Indonesian-born Canadian food blogger and photographer. When Pepy realized that the Indonesian recipes available in English didn’t quite capture the authenticity of the food itself, she initially created the blog under the name The Art and Science of Food. In 2010, the blog got its own domain and Indonesia Eats was born! Today, it highlights the diversity of the Indonesian cuisine and includes, aside from the Indonesian recipes, Asian recipes and non-Asian recipes. All recipes are wonderfully illustrated with her photos. We also loved that Pepy includes travel interesting travel articles, highlighting the mouth-watering dishes to sample during your own visit. From her ‘tiny’ kitchen in Paris, Vero shares her quick and easy to make recipes on the aptly named blog French Cooking for Dummies. Knowing that some traditional French ingredients can be hard to find elsewhere, she made a point to use only ingredients that are easier to find. So, if you are craving French classics, then look no further than Vero’s recipes! Vegetarians will also be happy to browse the many recipes which feature goat cheese, spinach, cauliflower, and other yummy ingredients. Try them out for yourself and be prepared to be hooked! 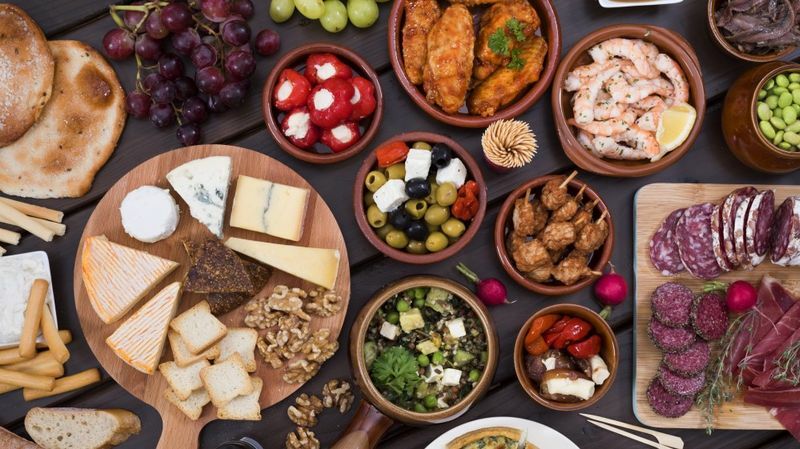 Having left New York to explore Basque Country, Caitlin, the foodie blogger behind the Back to Spain blog fell in love with Spanish cuisine during her culinary internship in Bilbao. Aside from the delicious recipes she shares on her blog, there are also interviews with chefs and restaurant recommendations, which we really enjoyed. We love Mediterranean cuisine and her “paella mixta” recipe made us remember the incredible seafood available in the area. 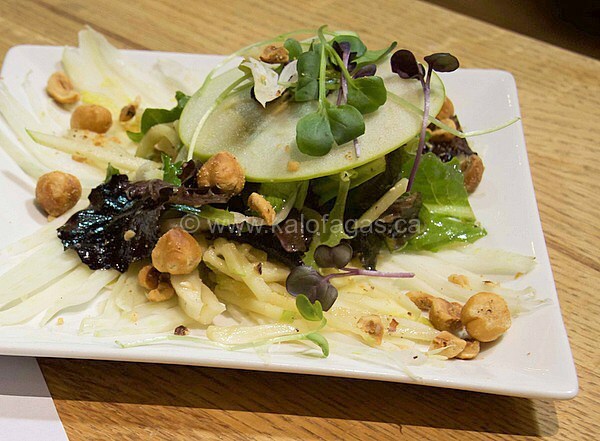 Kalofagas-Greek Food & Beyond is run by Peter, who is a Toronto-based Greek food expert. 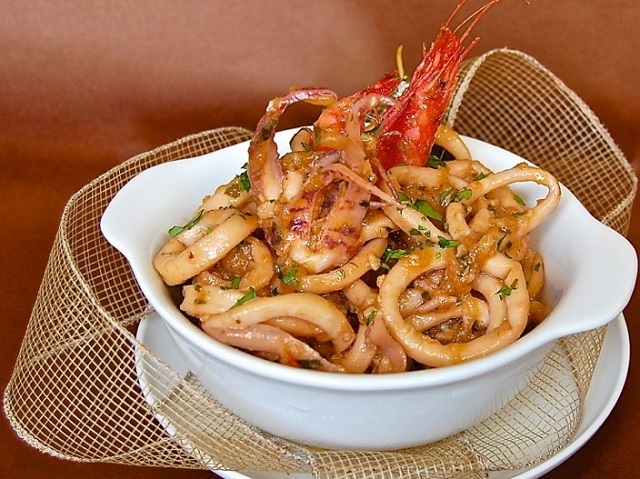 Started in 2010, the blog introduces the world to the scrumptious Greek cuisine. The recipes showcased are traditional, as well as modernized and unique based on his extensive travels to Greece. We adore the fact that Peter also includes a travel component with info on food in various parts of Greece. 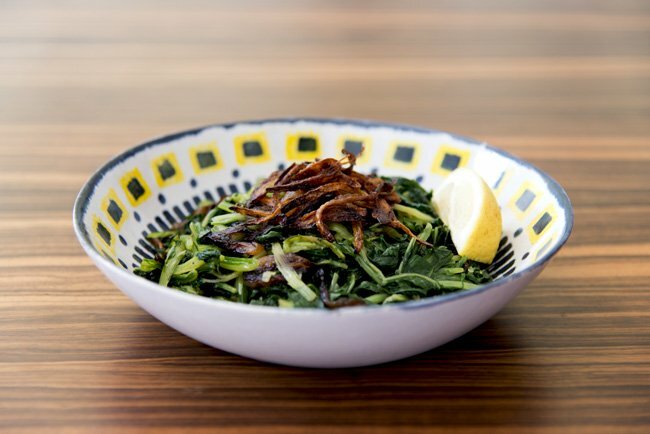 We were delighted to find Greek-inspired recipes such as spinach and feta flutes made with sliced bread or arugula salad with manouri cheese and citrus ouzo dressing. Blogger Lori traded her career as an elementary school teacher for the kitchen back in 2006. Fast forward to today, the blog houses over 3,000 original and adapted recipes. Recipe Girl, also has a travel component, featuring reviews of places and tours from around the world. We found the themed menus very useful for moments when we are at a loss of ideas of food choices make when we are planning to host parties or when we need great recipes for a family get-together. We especially can’t get enough of the ‘blue cheese ball’ recipe, which is very easy to make and is likely to be a favorite at any party. Jackie, the blogger behind Vegan Yack Attack, became a vegetarian after reading many articles concerning food, beauty products, and chemicals. The natural step to become a vegan followed. Her blog was brought to life when she started cooking at home more and decided to document her recipes. 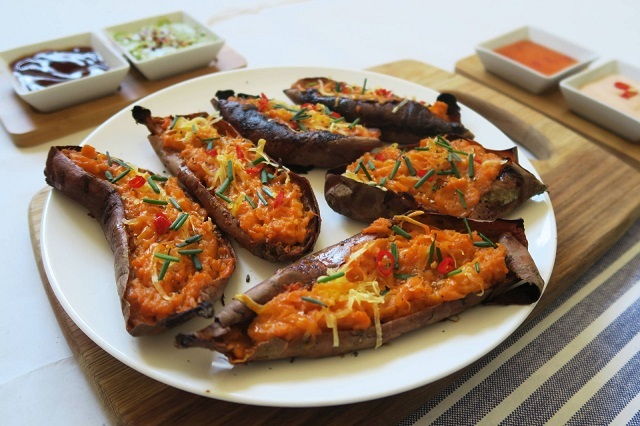 Today, Jackie’s blog is a place where you will find numerous delicious recipes, from mini persimmon coffee cakes you can have for breakfast, to a healthy farro protein bowl ideal for lunch, or a refreshing sangria you can enjoy during sweltering hot summer days. 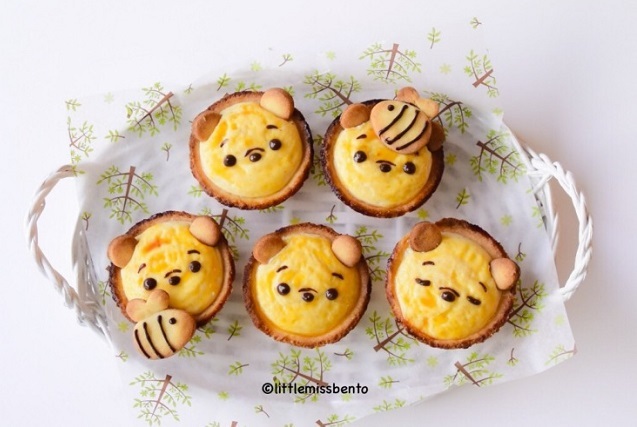 Shirley is an award winning bento artist who takes the most ordinary and humbling food ingredients and transforms them into cute creations for her blog, Little Miss Bento. If you ever needed an example of what ‘eating with your eyes’ means, her bento illustrates are the answer. Feast your eyes on her original creations, from traditional bento to modern recipes, all guaranteed to make your belly and eyes smile. We also loved the ‘travel’ section, which comprises useful advice for your planning your (culinary) trips to Japan. Carolyn is a vegan chef, holistic nutritionist, special diet and green living expert, who has traveled the world and runs The Healthy Voyager. While travel is still very much the flagship of her brand, The Healthy Voyager is a place where you can find all things related to health and green living. Check out the ‘Lifestyle’ and ‘Wellness’ sections for useful advice on how to stay healthy. We especially loved the helpful advice for healthy Holidays on the go and the vegan cinnamon roll waffles recipe! Prerna and Abhishek decided to start Indian Simmer to tell the world there’s so much to Indian food than just curry and naan! And we happen to agree with them. They run the blog from their San Francisco kitchen, showcasing delectable recipes that will undoubtedly make your mouth water. What we most enjoy about this blog is the ‘6 Ingredients or Less’ section where you can find easy recipes such as pumpkin puree and the ‘Easy Weeknight Dinners’ section where you can find recipes such as mushroom, corn and peas pulao. Sue is the author, cook, and photographer behind My Korean Kitchen, a delightful food blog that talks about her love and passion for Korean food. We loved that she includes step-by-step instructions with her recipes and the ‘videos’ section makes it even easier to understand how to make the dishes properly! Upgrade your dinner game with her Korean style tuna cakes, which are easy to make and taste like a slice of heaven! Meena, the creator behind Hooked on Heat, started taking cooking seriously when she moved out of her parents’ house and into a hostel for college. 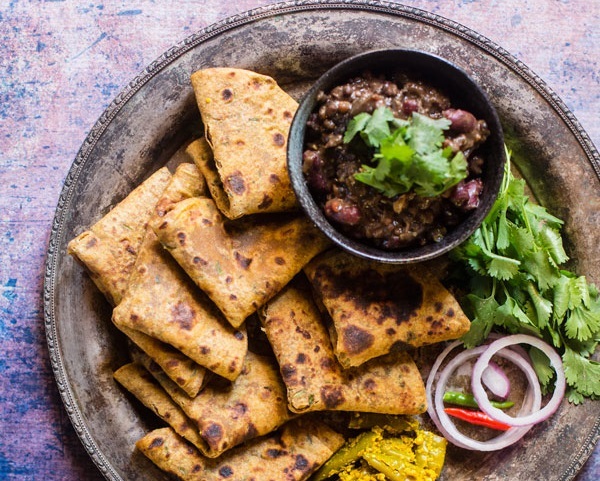 Through her blog, she shows us just how simple and delicious Indian home meals can be! If you are new to the Indian cuisine, we recommend to start your explorations with the ‘Indian cooking 101’ section, then move to the recipes. If a cold has struck or you just crave some chicken noodle soup, try Meena’s tasty recipe! If your dishes need a dash of Caribbean glam, then Trinigourment.com is where you can find it! Sarina started this unique food blog, which features Trinidadian and Caribbean dishes, in 2006 after a car accident forced her to change careers. 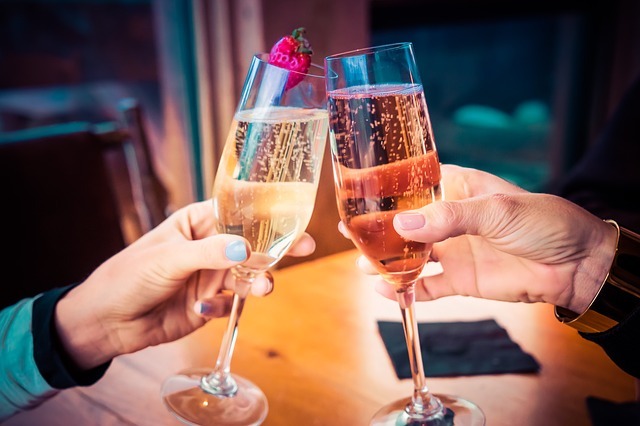 Browse the articles to find delicious Caribbean dishes, as well as useful articles from how to best pair wine with food to how to create a wedding menu! Mija from The Mija Chronicles is actually named Leslie, a food blogger who currently lives in New York. During the 4 years she lived in Mexico City, she fell in love with the Mexican food and culture which is reflected in many of the recipes she shared on her blog. We suggest for you to try her hibiscus flowers quesadillas recipe for an exotic take on the Mexican classic dish. We love that her blog also includes a travel section and you can fall heads over heels over her stunning culinary photos. Hyosun, a Korean-American mom food blogger, aims to show us, how to cook Korean dishes and the traditional way Koreans eat at home. Growing up, she learned to cook by watching her mom whipping up a storm in the kitchen. 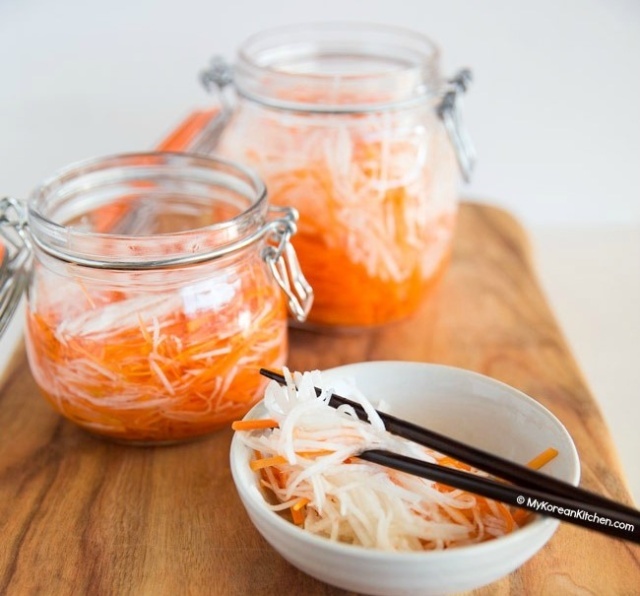 For her blog, Korean Bapsang, she tests the recipes in order to develop recipes which are easy to follow. If you are just getting started with the Korean cuisine, start with the ‘ingredients’ section and then move to the recipes. We simply can’t get enough of the slow cooker recipes, which are ideal for the times when you just want to throw something in a pan and let it cook without worrying about it. Dobby is a culinary enthusiast who loves local cuisines in Nigeria and around the world. When she is not cooking, she works on illustrations/graphic designs, which you can also find on the blog. Her blog, Dobby’s Signature, has a strong emphasis on photography, diversity, vibrant colors and health benefits of Nigerian foods. What sets the blog part from many out there is the ‘lifestyle’ section where you can ‘shadow’ Dobby as she explores meals outside of her kitchen. Amanda started Easy Peasy Organic in 2010 and, initially, it was a place to share food recipes and tips for healthy living. We cannot help but get emotional and tear up a little when reading her story on her personal battle with cancer. We adore her positive and upbeat personality that resonates throughout the blog. Here, she offers a mix of food, skin care, travel, and life posts. Major fans of croissants ourselves, we can’t help but sigh in happiness when checking out her cheat’s chocolate croissants recipe. When Italy or France call your name, take 25 min to make the croissants and start day dreaming! Nma, the blogger behind Nigerian Lazy Chef, calls herself a ‘nerd’ and started to cook out of necessity. We love that she is so real about it and, like many of us, is always looking to create simple but delicious meals. 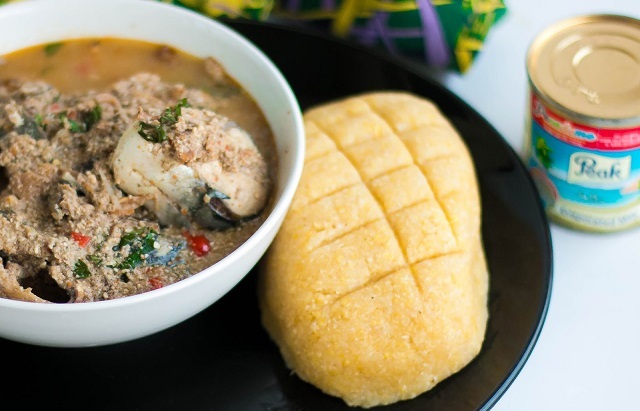 She now considers cooking an art and is proud to showcase various Nigerian dishes on her blog. Just be warned that you’ll mostly likely fall into the trap of endlessly scrolling through the mouthwatering recipes! If you love poultry, you’ll be pleasantly surprised by the many recipes featuring chicken. Nargisse is a Moroccan girl, based in London. Her love for the Moroccan food inspire the simple and balanced recipes she shares on My Moroccan Food. We wholeheartedly agree with Nargisse who believes that cooking is a way to explore and connect different cultures. 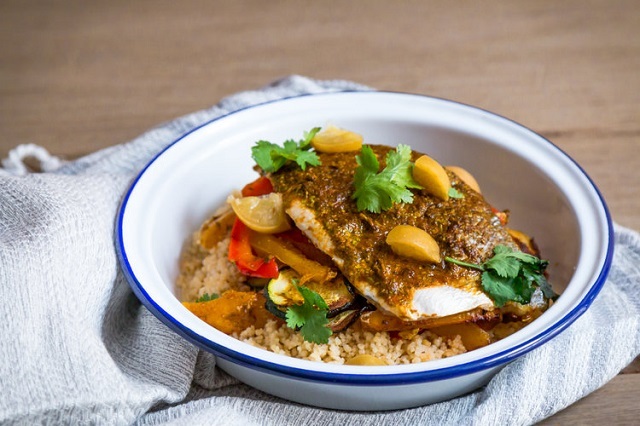 If you are new to the Moroccan cuisine, the ‘food for thought’ section on her blog offers excellent information on the origins of the Moroccan food and its main ingredients. Vegetarians will be happy to discover delicious recipes with a Moroccan twist. For a different and delicious dessert try sfenj, the Moroccan doughnuts. Imma, the cookbook collector and blogger behind Immaculate Bites, showcases exquisite African, Caribbean & southern flavors with a flavorful twist. She believes that everyone can have the taste of the tropics in their own home. And we definitely agree with that! Browsing the recipes we fell in love with the Caribbean dishes. Try the Jamaican chicken and pumpkin soup when the weather gets cold and you want to explore new culinary delights! Or start the day with an African specialty: banana puff puff. Yummy. Becky is a free from food blogger and has started Becky Excell almost as a diary to help share her thoughts and feelings as she was dealing with IBS (irritable bowel syndrome, which is manageable through a healthy free from diet). It quickly became apparent that she wasn’t alone in her struggles and she decided to share recipes, create vlogs and post on social media when she found a new free from product in the supermarket. We absolutely love her ‘lifestyle’ section and the monthly favorites posts. The ‘travel’ section is filled with useful information on where to eat if you are looking for a gluten-free meal, while the ‘food’ section highlights products you can find in the supermarkets. You will also be happy to discover the wealth of yummy gluten-free recipes! We absolutely loved to discover how Erin, the blogger behind La Tortuga Viajera, ended up in Spain. She started her blog to keep her family up to speed on the latest, but it evolved into a place where she chronicles her amazing adventures in Spain and beyond. We couldn’t but salivate over the yummy paella recipe. And what we also adore about this is blog is the ‘Madrid for expats’ section, which is very useful even if you are just spending a short vacation in Spain. Couple that with the ‘Travel’ section and you have a wealth of information for planning a trip to Spain. Anita is the cook, author, and photographer behind Daily Cooking Quest, a food blog which started as a way to chronicle the recipes she learned from her mom, friends, cookbooks, and other food bloggers. Focused on Indonesian food, Anita does an incredible job with the Indonesian ingredients glossary and cooking tools. Her passion for photography shines throughout the blog, making the recipes very appealing to the eyes. Those passionate about Asian food will be happy to discover not only Indonesian recipes, but also Chinese, Japanese, Korean, Thai, and Malaysian dishes. If you’re itching to prepare a yummy dinner with an exotic twist, we recommend trying her tofu, mushroom, and egg stir fry. Jeanne, the food, wine and travel blogger behind Cook Sister, is born in South Africa and currently lives in London. She has been in love with food and travel since childhood and this, together with her photography skills and passion, make her blog a very interesting read! We really enjoyed the restaurant recommendations from all over the world, as well as the entire ‘travel’ section on the blog. Vegetarians and vegans will be happy to find delicious recipes to try. Safe to say that we drooled over her halloumi, roasted grape and pecan salad recipe. Yvette is a native Texan, born and raised in El Paso, who currently lives in Colorado. Muy Bueno Cookbook features delicious home-style traditional Mexican recipes as well as Latin-fusion recipes she has developed herself. What sets this blog apart is the ‘Videos’ section, which is very useful when learning new recipes. 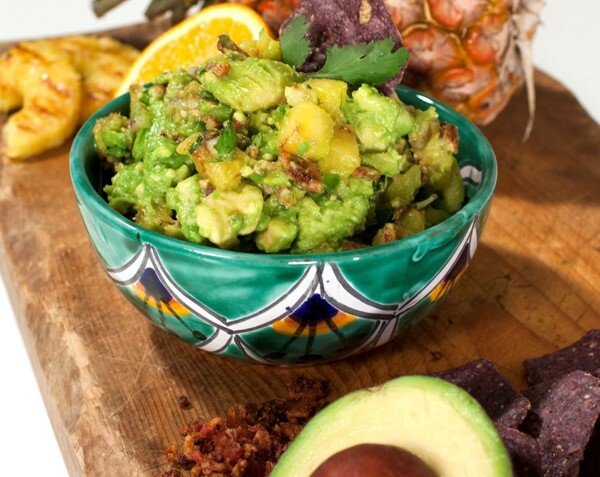 Try ‘guacamole al pastor’ when you want a different combination of ingredients and be delighted by the bacon and pineapple additions. If you are someone who are just as passionate about travel as you are about food, you’d be happy to know that it also offers a travel section comprises useful articles about places from all over the world. Lindsey is the writer, photographer and culinary prowess behind American Heritage Cooking. She works full time as a pastry and savory cook in NYC and on her blog, which she updates on her spare time, she posts heirloom recipes, heritage recipes, her personal creations, and modern recipes. And it’s evident that she loves cupcakes. Confession: so do we! Speaking of cupcakes, you should really whip yourself a batch of Lindsey’s lemon coconut cupcakes, it tastes like a bit of a tropical vacation. If you prefer savory, try the Tuscan vegetable sausage soup, which will make you daydream about Italy. Pronto! Though Anjali was born in Britain, she learned about Indian food from her parents. The blog, which shares her name, is all about bridging the gap between traditional Indian and contemporary International cuisine. What sets this food blog apart is the very interesting presentation of spices. Once you learn about them, start playing with her recipes. You are guaranteed to have fun and taste delicious food. If you are looking for a new way to cook salmon, try it roasted with fennel, orange, and thyme. Follow her blog posts for interesting tidbits on Indian travel and living in Britain! 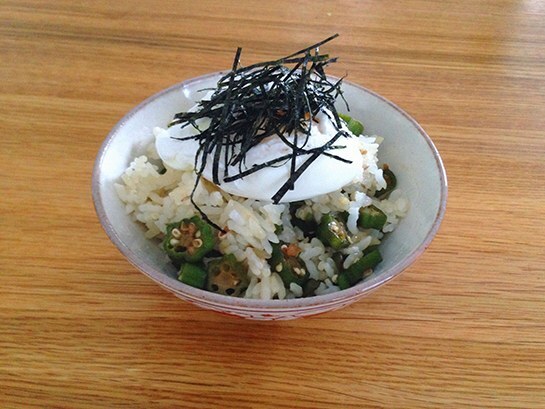 Azusa started the blog in 2009 to provide readers motivation and technique to make Japanese food at home. As a result, Humble Bean focuses on easy recipes accessible for the home cook. Azusa sources the recipes from Japanese language magazines and books, so English-speaking readers have access to recipes which are otherwise out of reach. Join the new culinary trends and start using matcha. 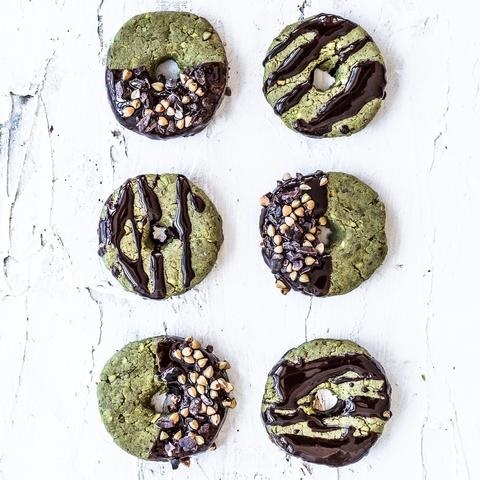 Luckily, Humble Bean has the perfect recipes for you to try: matcha pancakes, matcha rolls, and matcha mochi cupcakes. Elizabeth and Brian, a married couple, are behind the food blog Brooklyn Supper. They focus on seasonal eating and try to convince the reader that it should not be fancy or fussy. Despite the name of the blog, they now live in Charlottesville, Virginia, a small city in the foothills of the Blue Ridge Mountains. While they do share fancy foods sometimes, the focus is on simple, straightforward recipes home cooks can make regardless of their cooking levels. Discover cocktail recipes to wow your party guests or browse the many recipes available for each season. Oh and we also loved their summer salads! British by birth and Dutch by choice, Vicky is a writer, cook and avid foodie who lives in Amsterdam. On her lovely blog, Amsterdam Foodie, she shares restaurant reviews, which are very useful for those planning a trip to the amazing city. For those traveling to other countries, the ‘food & travel guides’ provide excellent insight into the culinary delights of the world. We also enjoyed her take on recreating recipes she has tried. We cannot get enough of the Mediterranean cuisines and Nuria’s food blog is to blame for the saliva on our keyboards! She loves seducing people through their stomachs but we’ve also been seduced by her amazing photography. Nuria is a cook, writer, and photographer who shares scrumptious Catalan and Spanish dishes for everyone to try at home. We loved the recipes and had a hard time deciding which category to recommend. Eventually the ‘Tapas bar’ stood out of the crowd and we urge you to try the fish balls in nuts sauce. Nicky loves to cook and has chosen Delicious Days, her food blog, to be her outlet where she shares all things delicious. Based out of Munich, she mixes her passion for design and food. When the cold season hits try the sausage salad, which features sausage, cheese, gherkins, and onions. Or try a spiced up potatoes soup. 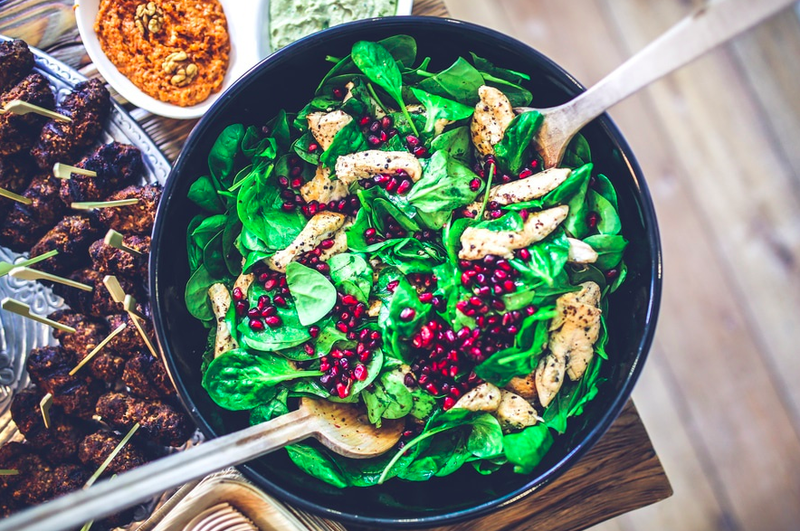 Aside from the recipes, the blog also features a news section with interesting articles on healthy food, as well as general tidbits on food. Angie, the talented blogger behind Bakerella, focuses on fun and easy baking. And may we say, also a very colorful baking! We especially loved the ‘themes & holidays’ section, where you can find cute and easy to make desserts for Valentine’s Day, Christmas or Thanksgiving. 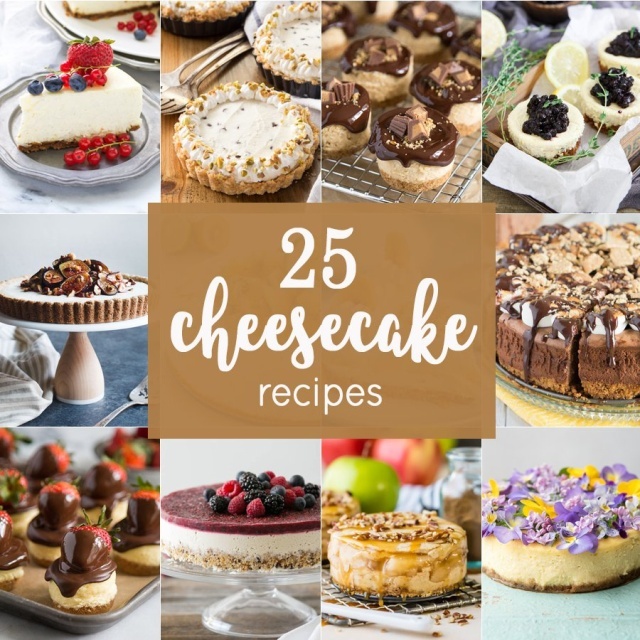 Safe to say that we fell madly in love with the many yummy cheesecake recipes offered on this cheerfully sweet blog. PS: Did you know that cupcake pops are actually a Bakerella creation? Sarah decided to start her blog, My New Roots, to share the knowledge she received through Holistic Nutrition. Be sure to spend some time to explore it to find simple and delicious plant-based dishes. We loved that the recipes are categorized by season and there are also raw food options, and many! We love beets and were delighted to find a new, healthy and tasty way to use them: beet, raspberry, and vanilla smoothie bowl! If you need to have access to the healthy recipes on the go, My New Roots also has an iOS app (priced at $4.99). Anyone who has had to feed a picky eater knows how hard it is to do so! We genuinely admire Jenny, the blogger and mom behind Picky Palate, who loves to create family friendly recipes and provide new and exciting dishes which will be loved by any picky eater, child or adult. Our eyes were immediately drawn to the ‘skinny palate’ section, which features a lot of healthy dishes. Who doesn’t love the honey, wheat, and flaxseed pancakes or the cinnamon carrot cake muffins? Delish! What totally made us fall in love with the blog were the meal plans. Having a wealth of recipes to choose from is great, but putting them together in a meal plan can be daunting. 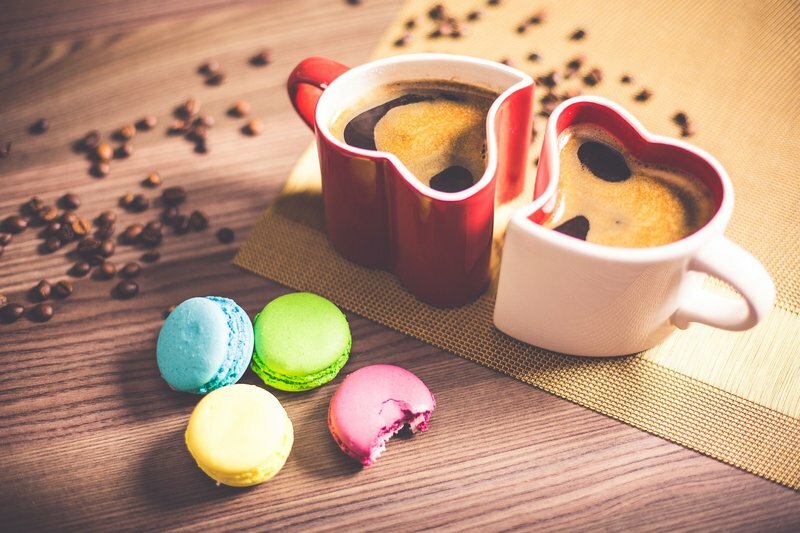 All in all, this delightful blog offers a great solution and may we say, a very tasty one! Laura is the food blogger behind The First Mess and she loves cooking with natural, plant-based foods, eating seasonally, and sharing wholesome meals with the people in her life. If you are on the hunt for gluten-free dishes, you will be happy to discover plenty of them on this wonderful blog. Give the lemon poppyseed vegan pancakes a try for a new, tasty take on breakfast (or brunch). Or up your salad game with her yummy butternut lentil salad! Learn to make even more delicious recipes by going on a culinary holiday. On BookCulinaryVacations.com we offer a variety of culinary holidays from all over the world for you to choose from! Cris Puscas is a contributor writer for BookCulinaryVacations.com. Passionate about Mediterranean food and countries, she could eat her weight in olives and cheese.